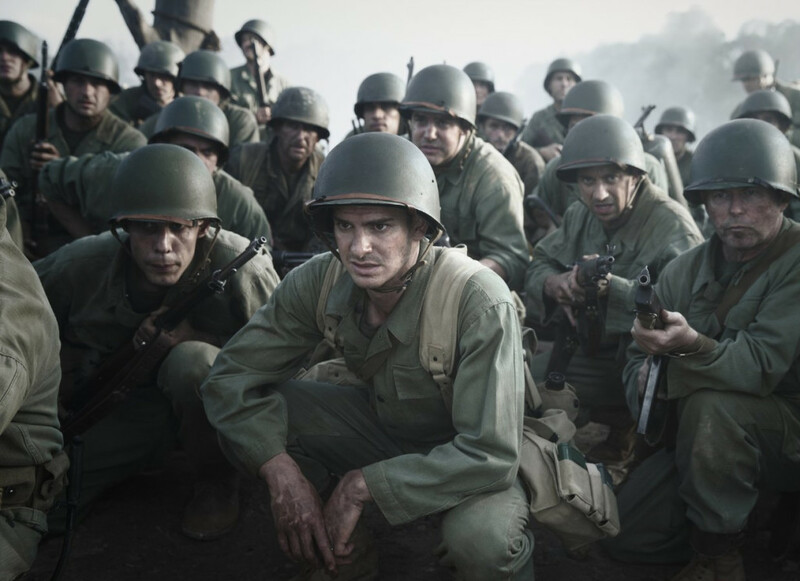 Mel Gibson makes his directorial return with the war epic Hacksaw Ridge, his first film since Apocalypto ten years ago. Despite his oddities, troubles, and stigma, I actually enjoy Gibson as a director, though his sample size is quite small. Apocalypto was cool, Braveheart is my 2nd favorite movie of all-time, and both A Man Without a Face and The Passion of the Christ were at least well-made. Combining We Were Soldiers with Saving Private Ryan, Gibson as the director, a solid moral, a true story; this sounds like a recipe for success, and the film truly is that. Some critics are hailing it as one of the best of 2016, which I don’t agree with, not nearly, but Hacksaw Ridge has all the pieces of a strong film, delivers on its promises, and deserves your time. As WWII waged on, and after the attack on Pearl Harbor by the Japanese, American boys were chomping at the bit to go to war, to protect their country, a troubled few even ending their own lives when told that they were ineligible to serve. 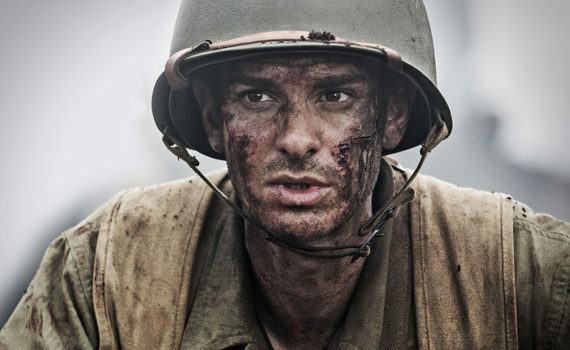 For Desmond Doss, the choice to stay or go was a difficult one, as he was an extremely religious man who believed that taking another man’s life was the most egregious sin unto God. But Doss wanted to do his part, and so joined the army as a Conscientious Objector, planning to train to become a medic in order to help in some small way. Well, his way wasn’t the army way, and it took a court-martial to determine that he was indeed allowed to “fight” in his own non-violent style. Doss would soon become a true American hero in his days deployed near Okinawa, having never fired a single shot. Gibson knows how to direct a battle, he’s shown that a few times, painting this bloody portrait to near perfection. The major combat scene of the film is one of the best you will ever see, rivaling those from Private Ryan and Braveheart with its pure, ugly, unfathomable yet believable chaos. My heart was literally racing for five minutes straight as terror after terror was swept across the screen, and I don’t think I’ll ever forget that feeling. So job well done for creating that and a few other heavily impactful and intense moments; Gibson knows his stuff. Much of the rest of the film was a cheesy mix of meeting soldiers who all had stereotypical nicknames, forming bonds when at first you had nothing in common, and falling in love with the girl who must be left at home. The movie is quite typical at times, but that’s not always to its discredit; sometimes we don’t mind knowing what’s coming next, it makes the whole project seem familiar. So Gibson shines, but what about everyone else? Andrew Garfield did an admirable job as the one-fry-short-of-a-Happy-Meal Doss, playing dumb but lovable to a tee, though if you want to see his talent really showcased check out 99 Homes. His sweetheart, Teresa Palmer, was alright, not really called upon to do much else than represent a home that’s worth fighting for and returning to. The soldiers were all fine I guess, with Vince Vaughn headlining the group. At first I was really worried, and when he opened his mouth it completely broke the fourth wall for me, but I eventually found him to be fairly hilarious and good enough to earn a pass. It’s the direction and the action that will get your attention here, not exactly the acting, resulting in a film that’s definitely a watch if not exactly a must desperately watch.